With the real estate market being so HOT – many renters are looking into purchasing their first home. Although becoming a homeowner is the single most effective way to create wealth…its important that you take all of the costs of home ownership into consideration. When buying a home you don’t just put down a percentage and then make mortgage payments every month. There are many additional costs that are involved in buying a home and they can be quite significant so it is important not only to be aware of them, but also budget for them. Although we are usually writing about tips for selling a home – today we cover some basics for the First Time Home buyer! • Homeowner’s association fee – this applies especially if you live in a condo, but could be an additional cost if you are choosing to live in a higher end community which has HOA fees. • Closing costs – under these are appraisal fees, attorney fees, title insurance, property transfer taxes and the charges incurred by your lender to provide the mortgage. Closing costs can vary dramatically. You should look at all the fees you are paying carefully to make sure that there are no hidden ones. Depending on how you structure your home purchase contract, you may be able to get the seller to pay a portion of your closing costs. • Maintenance costs – you need to be able to maintain your home after you have bought it. • Property tax – you will pay a little over $2,000 a year. This can vary by state and county. The more your home costs, the higher the property taxes. Be sure to have a homestead exemption in place to reduce your property tax bill. • Home insurance – this is in case of the loss or major damage to your home. • Utilities – in the average home these come to about $3,000 a year. Its a good idea to ask the previous owner for the past 12 months utility bills — so you can have an idea of what your monthly utility bill will run. What does THIS GUY say about hidden costs in homeownership? • Check on the condition of the roof. Roofs are expensive and if you buy a home that has an old one you will have to replace it at your own cost. When looking for a home to buy specify to your realtor that you are looking for one with a relatively new roof. Look on the inside of the attic for roof leaks, even if the roof appears to be new. • Be more about the structure than the other things. You may be put off, for example, by the color of the walls when in reality they are very sound walls. You can put a different coat of paint and transform the rooms to your liking. Look for cracks in the mortar of brick on the outside. On the inside, see if the doors close properly or if they seem “out of square”. You can also look for cracks in the sheet-rock for any structural damage. If you believe that the home may have a structural deficiency, you will want to hire a structural engineer as the costs of structural repairs to a home can be prohibitive. • Older homes tend to have heating and cooling problems so if you choose something old make sure that the air conditioning works properly. The plumbing also matters – check for leaks, water damage or mold. It can be a challenge to verify that the HVAC system works properly if checked during the winter months. If that is the case, its recommended that you specifically hire an HVAC expert to look over your system. • The land that the home lies in also matters – if you buy a home that sits in an area prone to flooding, wildfires or other natural disasters you will be taking a huge risk. You can check to see if your home is in a flood plane by visiting the FEMA website. • Insulation is very important. If you buy a house that doesn’t have proper insulation you will freeze during the cold months and will struggle to keep cool in the summer months. It will also cost you a lot of money to heat. Find out from the records the last time that insulation was done. Whether you live in the North or the South – having proper insulation is critical to keep energy bills down. • Check faucets, showers switches, locks and everything else to make sure that they work. These may look like minor details but if you buy the home and find out that they are broken you will have to fix them at your own expense. Upon moving in, its a good idea to replace all of the locks in the home. • Have a proper home inspection done by a professional. In some instances, the seller may have had a home inspection completed, but in any instance, you should have a home inspector that you hire complete a home inspection also. Expect to pay between $300-$1100 depending on the size of the home. They are more thorough and they are able to point out problems that you may not have noticed. Since we spend a good bit of time discussing how real estate functions, we thought it would be a good idea to put a spotlight on some of the hottest real estate markets in the country. If you have been searching the best real estate websites — looking to find the strongest real estate markets in the US — we have just made things easy for you. How Do We Decide What Real Estate Markets? We are not looking at pointing out the obvious real estate markets such as New York or Los Angels, but our focus is more on the sleeping giants. We are looking for shining star real estate markets across the country. We are looking for consistent real estate growth as well as consistency in the growth of the average home price. All of the local real estate markets we will discuss have driving factors that have let them make the list. Many have outstanding schools or booming economies which keep housing prices strong. Some have impressive tourism which is driving home prices. Wilmington has proven to be one of the hottest real estate areas in the country. Although the city of Wilmington proper has seen tremendous growth, we are seeing many of the smaller suburbs of Wilmington have substantial growth too. Much of the growth of the greater Wilmington real estate market can be attributed to the coastal aspects of the area with its many beaches and luxury homes. According to www.besthomeinmiami.com/wilmington-real-estate they point out not only the growth of Wilmington, but Topsail Beach, Wrightsville Beach and the area of Pleasure Island. Wilmington is a large metropolitan real estate market and includes many smaller areas. With the Greater Wilmington area including many niche real estate markets — we will cover some of the most popular. With an explosion in real estate sales in recent years, Wilmington NC has grown as one of the premier destinations for luxury homes. With the range of waterfront home options many people enjoy relaxing on their porch of a historic home with views of the Cape Fear River or one of the many beaches. If you would rather luxury beachfront living, we can help you find the ultimate oceanfront home where you can watch the sun set over the Atlantic Ocean. Wilmington offers a wide variety of luxury homes for sale. Everyone is familiar with Spring Break in Panama City Beach. Most people are not aware that the relitivly small coastal city has seen tremendous real estate growth over the past few years. With Panama City Beach real estate being driven by tourism, condominiums have been the driving force behind the the thriving real estate market in Panama City Beach. Owning a beachfront home is generally something that most people consider to a factor of the Lifestyles of the Rich ad Famous. Truth is, if you want to own your own little piece of beachfront real estate, a condo may be a way to make your dream come true. Condos can be a very cost-effective way to live not only on the water…but on the beach! Although many potential home-buyers are concerned about the hurricanes that threaten the Florida area, it does not seem to slow the pace of growth for Panama City Beach. Making sure you have the proper insurance is critical for buying on any coastline. You can locate the Panama City Beach on the Gulf Coast and offers some of the most fantastic views of any beach community. The reason people love to purchase a condo here is to have a perfect place for a vacation home, or just only to retire. You shouldn’t mistake Panama City Beach with Panama City. The beach is located north of the mainland and is the place with the excellent views, and even better nightlife. Looking for a home in Boston? You may want to look elsewhere. The Boston real estate market is broken for many of its potential buyers. Inventory is tight and there is not nearly enough entry level homes. It seems to be that fewer homeowners are trading up. Add in the fact that cash bearing investors and foreign buyers dominate the market which is wonderful for sellers by its often miserable to the ordinary home buyers. Boston Massachusetts is known for their rich history, diverse neighborhoods, legacy of arts, culture and education. Not to mention there is plenty to do for the whole family! They have an amazing nightlife, along with some of the hottest dinner spots. 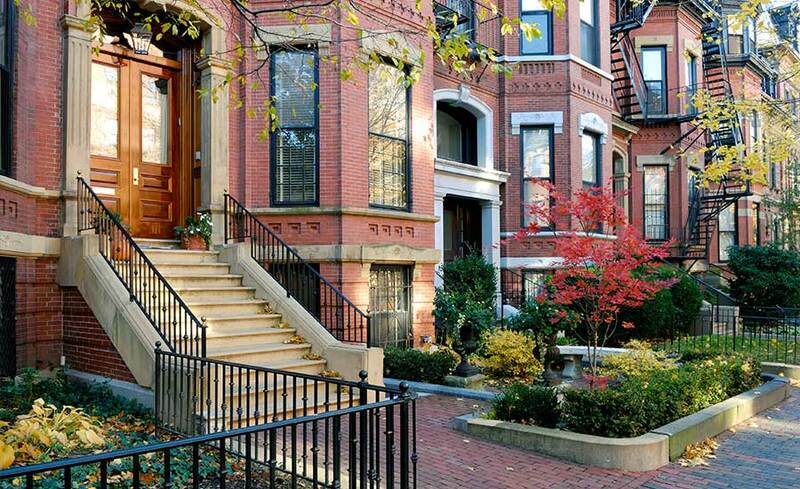 If you’re looking to move to Boston, their is definitely a neighborhood to fit your needs! One of the smaller, cozier neighborhoods in Boston is called Bay Village. Its surrounded by Back Bay, Chinatown, Downtown and South End. Its one of the most popular places to live because its smack dab in the middle of everything- but quiet and inviting with its friendly atmosphere. There are restaurants within walking distance, along with Eliot Norton Park. A few other names you may know it by are, the Church Street District, South Cove or Kerry Village. Developer Ephraim Marsh built the neighborhood back in 1820 out of a landfill. Most of the houses look similar to Beacon Hill townhouses, just a smaller version. The neighborhood was settled by residents of Beacon Hill. 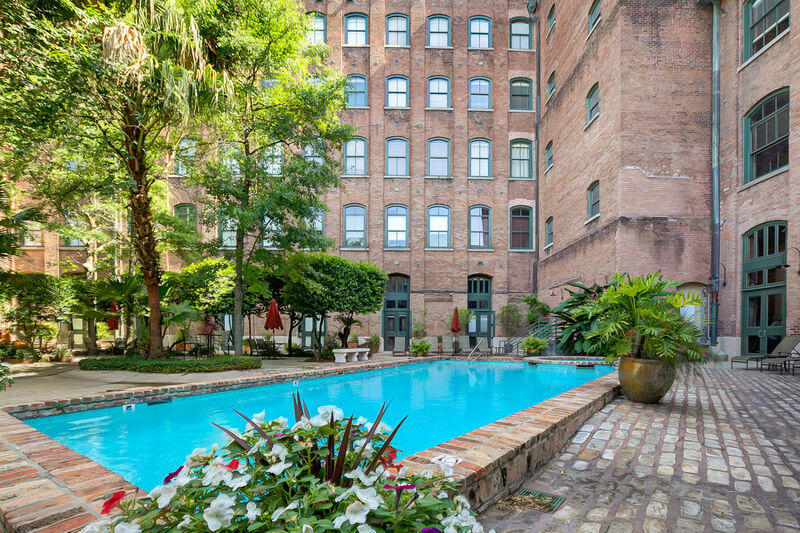 The New Orleans real estate market has been on fire ever since Hurricane Katrina. After the storm, many real estate investors came into the area and bought up many of the “flooded and gutted” homes. They have since rebuilt those investment properties. This has this city that is over 300 years old — with thousands of homes recently remodeled and updated. What may come as a surprise to many is that, among the top cities least affected by the Great Recession, New Orleans, LA is also on the list. This may seem baffling to many readers who recall the devastation and subsequent challenges faced by the Crescent City following the infamous and wide-spread destruction literally poured out by Hurricane Katrina in 2005. Although the city’s population was greatly reduced following a mass exodus of many of the hardest hit residents, and a temporarily devastated tourism industry, New Orleans’ unemployment rate remained lower than national averages. Influx of federal funds after the storm coupled with the huge amounts of insurance payments payed to Louisiana residents have insulated New Orleans from the recent recession and real estate downturn. New Orleans is still known for their tourism, but since the storm NOLA has become a technology hub. The internet is host to many websites specific to the real estate industry. Many of which have been around almost as long as the internet itself. This put them in the position of having played a significant role in how agents, brokers, buyers, and sellers interact with each other. Some of best and oldest real estate websites include Zillow.com, Realtor.com and Trulia.com. In fact, these broker-based sites feature iDX – which showcases a range of real-estate brokers and listings. In order to find the top real estate websites to meet your needs, all that is necessary is to perform a bit of research on the Web. There are more types of websites other than the IDX sites that host listings from many brokers and agents. While some specialize in only one area of real-estate, others specialize in multiple areas of interest. Some familiar areas of interest would be commercial listings, residential listings, vacation rentals, or condominiums. There are sites that offer services for agents, buyers, and sellers together across the nation. Another area of interest is becoming an agent or broker. For this you would need a real estate education and licensing company. One of the best ways to find the right sites is by narrowing your search down to your immediate area of interest. What to Look for In Real Estate Sites? The best real estate sites should have content that is easy to process. These should also have user-friendly menus and search features. This allows visitors to access a wide array of valuable resources, including available listings, property values, and much more. Most real-estate sites also have blog sections, which feature informative articles and posts. This too is a great way to access information on all real-estate happenings and events in your area. Buyers or sellers should also be able to find current pricing trends for properties in their areas. This can also be compared to state or national averages, which let them know how much their property, should sell for. Real-estate websites must also be precise and concise. This means they must be able to effectively market your home to local and regional buyers. They should also offer comparative listings – which allow sellers to see average buying or selling rates in their areas. As always, there should be plenty of pertinent links along with contact information for all interested buyers and sellers. Using the internet for help with real-estate is nothing new. No matter if you are interested in selling a home or renting a vacation house on the beach. With a little patients and some research you can find a website that fits you needs. For more information, simply check Google for the top rated real estate websites in your area, state, or across the nation. You’ve likely heard some horror stories about the stress of trying to sell a home. Don’t want to go through that stress? Well here are 8 tips to help you sell your home fast! Consider your landscaping. Landscaping can be some of the most cost effective real estate improvements you can make. Mow the lawn and edge along driveways and walkways. Pressure wash your surfaces. Give the siding or shutters and extra coat of paint to brighten things up. Do some landscaping. Ferns, flowers, trees, potted plants. Whatever you put will add some instant color. Give/provide useful information packets (folders, binders, CDs) to every attendee with information on the house itself, photos, community and neighborhood information. Most potential buyers see lots of houses—you want them to have something to take home to remember your house by. Hire a professional to photograph the home. The first thing that buyers are going to do is look at your home listing online. Want to impress? Have great, staged, well-lit and properly angled, professional photos in your listing. Make sure you post enough that they get a full sense of your home so that they want to have a viewing. Don’t ever say “We love this house, but…” No matter what you insert into the end of that sentence, your potential buyers don’t need to hear it. This statement puts doubt into their minds, makes them see problems that they might not have noticed before. Consider your paint colors. No matter what the colors are in your home, give them a fresh coat before you list the home. It’s always safe to go relatively neutral in your paint colors. It’s best to avoid black, or anything too dark or bright. Also try not to paint every wall in every room the same color…boring! Don’t tell buyers how much you spent in renovations. Just because you spent half a fortune and several months renovating the new bathroom, doesn’t mean that your potential buyer 1) cares; 2) is willing to spend more because you think it’s worth more; 3) needs to know. This might also draw attention to the things that you didn’t renovate. Share your home listing with your Facebook friends. Facebook is a wonderful way to connect with people and let them know that your home is for sale. Your friends may know a friend who aunt is looking to buy in your area! One of the most important rooms in the home is the kitchen. I have seen good kitchen upgrades, and I have seen bad kitchen upgrades. I always advise sellers to communicate with their Realtor to find out what is in, what is out, and what could be a waste of money. Most homes for sale if over ten years old will need some updating, or freshening up. The kitchen is a focal point, and can be done inexpensively. Make sure you provide your Realtor with receipts for the work that you do, and list them so that he/she can put that in remarks on the listing in the MLS. A lot of buyers looking for their first home look for keywords like “upgrades”, “fresh paint”, and this will increase your online view, thus leading to more appointments. More appointments, will mean more offers. The Lakeview Real Estate Market has seen an uptick in online searches for words as mentioned above. Okay, so where should you start? Paint the cabinets. View some of the newer homes, consult with your Realtor or even just look online for the current colors. A lot of homes are going with one color on the cabinets, and a separate color on the island. Try and stay in the “neutral” zone with color to be on the safe side, but now greys, and blues are considered neutral, as opposed to the age old “beige”. Replace your cabinet doors, or remove them altogether. You can find doors at your local hardware store that can be painted to match your cabinets. Leaving the doors off altogether, adding plate racks, or wine glass holders really opens up a smaller kitchen. This lets you use your dishes and glassware as décor also. If your door pulls and knobs are tired, change them out. Try and match your finish on your door pulls and knobs to your lighting and faucets if possible. This is an inexpensive and fast update to any kitchen, and easy to do yourself. 4. Add pendant lighting. Taking out the tired fixtures of yesterday, and adding the pendants above your sink and/or Island will make a great show! Remember, try to keep the same finish as knobs and faucets. There are many finishes to choose from. Stainless knobs, and faucets are making a comeback with the newer subway tile back splashes. 5. This brings us to back splashes. Depending on how old your home is, there may not even be anything other than painted sheet rock as your back splash. No demo needed then, and you can take classes at the hardware stores and even install the back splash yourself. The subway pattern is hot now, white, and clean. Tumbled Travertine is still popular and classic as well. 6. Change that leaky faucet…..no better time than now to upgrade the faucet to a popular finish. They have touch faucet’s now that make cooking and getting around in the kitchen quite delightful. 7. Replace the counter top. There are many products available now to choose from. Ceramic tile, man made products that look like granite, and of course, true granite itself. This is large part of most kitchens and will make a huge impact on the look. 8. Add fresh window treatments. Maybe go with a lighter, airy look. Remove the heavy, older drapes of the past and allow the sunshine in. 9. Add fresh fruit in glass bowls or cylinders. Lemons are beautiful displayed, they last a long time, and when they get “tired” you can slice them and run them down the garbage disposal for a fresh scent. 10. Add an area rug, or two. Place smaller rugs in front of the sink and stove, and if you have the space to add a larger rug under the kitchen table for splash of color. If you’ve recently jumped into the process of either buying your first home, you may have realized that the real estate world has its own language. To become a REALTOR, you must learn these….plus a ton more real estate terms to be able to speak intelligently in the field. With the rise of the web, the internet has changed the role of the REALTOR — and now, its best to understand real estate terminology yourself. Here are some basic real estate terms to help you navigate more easily. –Closing: this is the meeting at the end of the process where the sellers sign over the title of the home to the new buyers. –Down Payment: usually 5-20% of the total cost of the home, this is the amount of money that the buyer pays upfront to purchase the property. –Escrow: this is the account set up by a lender that you pay toward when you purchase your home; once escrow is paid out, the lender will hand over the property to you. –Pre-Approval: when you are pre-approved, a bank reviews your finances and credit and gives you a set interest rate for a certain period of time; pre-approval is sometimes required and always recommended to begin the process of buying a home. –Lien: this is when a legal claim is put on a property to receive payment for debt and the holder of the lien can then sell the property to recover the money owed. –Comparable: also called ‘comps,’ these are the similar homes (size and age) in the area you are looking to buy that have recently been sold or are currently on the market, used to determine the value of your home. –Inspection: where a certified inspector will scrutinize every part of the home, including electricity, plumbing, roofing, appliances, etc. –Appraisal: required for a mortgage, this is the estimate of the home’s value based upon the condition of the property and the comparables in the area. –Listing: this is a term that many real estate agents use to refer to all the homes that are for sale. This can also refer to the for-sale homes that are listed on a website. –Equity: this is the difference between the home’s value and what you owe on your mortgage; for example, if your home is $200,000 and you only owe $75,000, then your equity is $125,000. –Interest: this is what the lender chargers you to borrow the money to purchase your home; you are approved for a specific interest rate, and will pay this off as you pay off the principal of your home. Rather Review Real Estate Terms Via Video? Nobody likes to waste money… well, maybe politicians, but not the rest of us. For anyone renting a home, late fees can be a major frustration; they can snowball into big problems, and they can be entirely avoidable. So for a property manager, it’s an important decision whether to charge late fees or not, and if they do charge, how far should they go to enforce them. In this article I’ll discuss some important reasons why real estate brokers should charge late fees and why they should (almost) never waive them. As if a property manager’s job isn’t hard enough already, dealing with just about any issue that comes up out of routine is like throwing a monkey wrench into your engine. When repairs are needed at a rental property, it’s important to deal with it quickly, get it resolved, and make it history as soon as possible. The same goes for rent. One thing is for sure: every month, there will be at least one property that needs a repair, and at least one tenant that pays rent late. So if it’s important to the tenant for repairs to be handled quickly and conveniently, it’s equally important to the manager for the tenant to pay their rent on time. When rents are late, there is a domino effect of problems it causes. As a general rule, most landlords expect to be paid on time. When the landlord does not get paid on time, they usually complain to the property manager. Property managers are regularly bombarded with problems and complaints, so avoiding the unnecessary ones is always preferable. Trust me, property managers do not like receiving owner complaints, as this is sure to impact the owner’s perception of the manager’s competence and responsibility. For many property management companies, rents are always due on the first day of the month. Some tenants pay electronically, while others pay by check or certified funds. Few property managers accept cash, and if they do, they should stop. Having cash in the office is a bad idea and can open the door to a potential robbery. By refusing cash, that risk can be eliminated. But with electronic payments (sometimes called “direct deposit” or “ACH”), it can often take two to three business days for the payment to clear and appear in the property manager’s account. Paper payments, whether they be checks or certified funds, are even worse. Even in our current day of modern and high-speed technology, it’s still quite common for a check to take 4 to 5 business days to clear the bank. When rents are paid late, it takes the same time for the payments to clear, adding to the number of days before the manager can pay the owner. Many property managers give renters a 4 or 5 day “grace period” to pay the rent. This means, if the rent is due on the 1 st , the renter can still pay up to the 4th or the 5th without incurring late fees. Grace periods are not a right and there isn’t any legal requirement to provide them. Grace periods are give out of the kindness of your property manager’s heart and nothing else. So in consideration of the grace period, it often happens that many renters wait until the last minute to pay. So as an “almost always” rule of thumb, most renters pay after the first day of the month and as close to the grace period as possible. Therefore, if the manager has a 5 day grace period, and the tenant pays on the 5th , even if the manager is able to deposit the check the same day (which they often aren’t), there is still the standard 4 to 5 day bank-processing time-frame on the back end that the property manager has to wait before reconciling the owner’s account and sending out owner checks. So if you add the days up, simple math says that most, if not all, funds haven’t cleared the bank and aren’t available to the property manager until roughly the 10th day of the month. Almost all businesses have a 30 day (or monthly) accounting cycle. This means that when they receive any monies, they have the full month to receive bills (repair bills from the plumber or handyman, taxes, insurance, etc. ), make those payments, reconcile the accounts, and disburse owner payments. In the property management world, a majority of landlords want their payment as quickly as possible. This often becomes a sticking point between the needs of the property manager and the demands of the owner. So since we work for the owner, many property managers succumb to the owner’s demands to pay as early in the month as possible, usually around the 15 th . So instead of having a full 30-day accounting period, many property management companies only have a 15 day accounting period. What About The Late Fee? Well, when the renter pays late, inevitably the owner gets paid late. As the saying goes, “stuff rolls downhill”. Since the real estate company is sure to receive complaints from the owner, there’s plenty of good reason for the property manager to charge a late fee. Late fees generally serve two important purposes: (1) create a financial motivation for the tenant to pay on time, and (2) to compensate the owner and property manager for the additional work and frustration caused by the late payment. Waiving a late fee is each property manager’s personal decision, but one that I’ve found few reasons to not enforce. In limited circumstances, especially if the tenant usually pays on time, communicates the problem clearly (and preferably ahead of time), and keeps his or her promise to make the payment on a later agreed date, it might be OK to waive the late fee… once (maybe twice). But when a tenant is routinely late, always has an excuse, and fails to keep promises to pay on the later date, the property manager should have no hesitation in charging a late fee. Bear in mind, though, late fees must be a condition of the lease and can’t just be arbitrarily determined on a whim. Also, realize that if you routinely waive late fees, your tenants will eventually catch on and it will become difficult, if not impossible, to routinely enforce them. So if you’re going to charge late fees, stick to your guns. You should also give consideration to the landlord’s preference on late fees… but as for the property manager, for whom it’s important to keep everything operating smoothly and on schedule, having and enforcing a late fee is an effective tool that can do a lot of good if used correctly. Roughly thirty to forty-five minutes from either Dallas or Fort Worth, just to the south is the Gem of a City, Granbury Texas. With more waterfront living than just about any other city in Texas, it’s no doubt why Granbury has become a number one spot in the country for retirees, families, and just about anyone who wants to live a lifestyle involving water. Granbury sits in a unique bend in the Brazos River, which in and of itself, creates lots of riverfront real estate, it’s also home to Lake Granbury, a 8,310 acre lake on the Brazos River. So if you’re into luxury waterfront living, or just waterfront living, be sure to check out homes for sale in Granbury Texas. As one of the early waterfront master-planned communities in town, Indian Harbor offers a wide range of diversity in its real estate and homes for sale. It’s very affordable, even having a selection of mobile homes and modular homes for sale, with a range of varying lot sizes. It is a gated community, with 24 hour security, and a fire department just outside the gates. Indian Harbor is a popular community for all types and has plenty of amenities to offer even the most demanding home buyer. Here, you can play tennis, go for a swim in the Indian Harbor Community Center, or spend some family time on the playground. Of course there is a marina with boat ramp, slip rentals, and a quaint café on the lake. Indian Harbor even offers RV facilities, which is great for anyone wanting to visit. Another community more on the Fort Worth side of the City is Meander Estates. There are still plenty of land lots and homes for sale in Meander Estates, as it hasn’t yet been fully built out. Meander Estates creates a close knit community, with community parks, playgrounds, and sports courts such as Tennis and Basketball. Meander Estates strives to provide a rural living lifestyle in a neighborhood that has about an equal balance of families and retirees. A great asset to Meander Estates is its proximity to the Historic Downtown Square in Granbury, one of the best places for fabulous shopping in Texas. Recently awarded TripAdvisor’s Certificate of Excellence Award, the Downtown Square is a shopper’s paradise. Also nearby are the full amenities of the town, including all shopping, dining, and grocery. Situated on the North end of Town, The Peninsula on Lake Granbury is one of the closer communities to the Dallas/Fort Worth Metroplex. Again, this is another community that is very close to the Historic Downtown Square, a world renowned shopping destination. The Peninsula sits in a bend in what was formerly the Brazos River. Following the damming of the river in 1969, it’s one of three dams on the river that have created lakes. Another wonderful place to consider buying or building your next home. The final master-planned community in this series, Waters Edge is located right in the middle of Granbury Texas, immediately on the banks of Lake Granbury, part of the Brazos River. Here, you’ll get a small community feel, but access and proximity to plenty of entertainment, shopping, dining, and recreation, including golf! Waters Edge offers a boat ramp that is private and exclusive to the use of community residents, a great benefit to have when just about every home in the community sits on the water. If you want to live in a beautiful city, with amazing views of hills, lakes, rivers, and much of what nature has to offer, we hope you’ll consider buying your next home on the Water’s Edge!